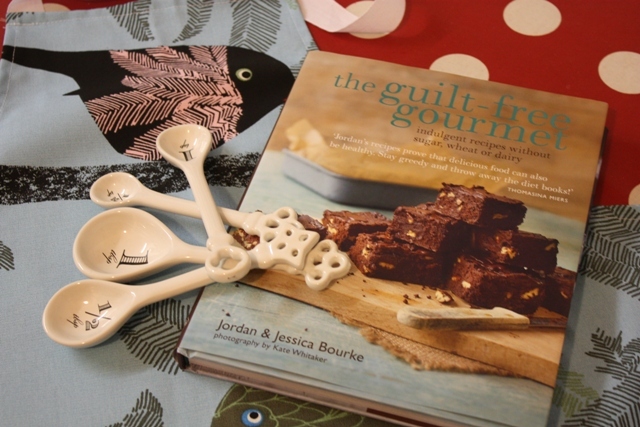 I got gorgeous foodie goodies for Christmas (birdie apron, ceramic measuring spoons and book pictured), thanks to my lovely sister, friend and husband. I sat today reading Jordan and Jessica Bourke's The Guilt-free Gourmet, absolutely salivating. So I ran to the supermarket for supplies and made/adapted their delicious New York Avocado Toast. Oh. My. God. Just delicious. And it's packed with goodness: avocado, lemon, parsley, tomatoes. OK, bagels are calorific but in my defence a) I totally WANTED one and, b) it was wholegrain. Anyway, here's how to make this gorgeous meal - it's your choice whether to use rye toast (like the Bourkes) or a bagel. I added minced garlic to one half of the mix (just to see) and that made it guacamole-like and delicious. (It depends how garlic obsessed you are whether you bother with that.) Serve with a green salad. 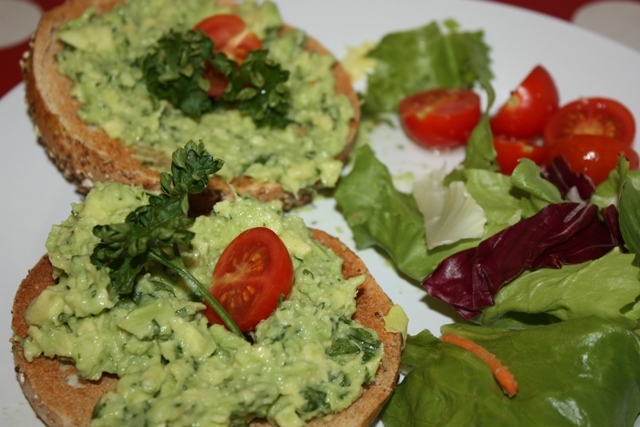 Pile the avocado mix on top and serve with the tomatoes. Mmm-mmm-mmm!! !